R & G Water Systems can help you select and install the right water system for your household needs. 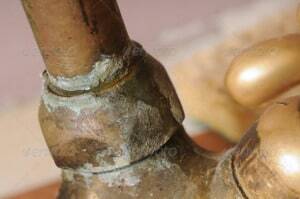 Better yet, we will perform free in-home water test to let you know whether you need a water softening system at all. If you do, it will make a big difference in how your water feels, tastes and affects your appliances and plumbing. Based in Manchester, MD, we serve Carroll County, Howard County, Baltimore County and other locations in Central Maryland. Some of these signs are simple inconveniences, while others can damage your plumbing and lead to other negative consequences. For example, when scale builds up at the bottom of your water heater, it will require more energy to heat the water inside, so you may see increase in your utility bills. A traditional water softening system works by removing minerals from the water by the method of ion exchange. As the water passes through a tank filled with resin beads, the minerals attach to the beads, while the rest of the water goes through your plumbing. After some time, the resin beads become so overburdened with minerals, they can’t pick up any more and need to be recharged. The recharging usually happens at night when water is not in use and consists of washing resin beads with a brine or salt-free solution. Water softening systems are commonly installed after the pressure tank, so that is doesn’t restrict the pump and so that the conditioners are not exposed to the starting surge of the pump. The unit will be installed before the water reaches your water heater, and other appliances. You may have heard about a water conditioner or descaler as an alternative to a water softening system. 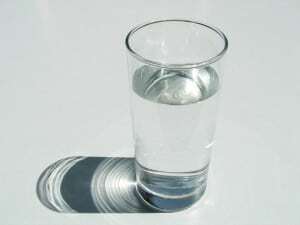 The truth is, it’s not exactly an alternative, because it doesn’t remove minerals from the water. A water conditioner/descaling unit may alter some properties of the water to reduce its ability to form mineral deposits inside the pipes; however, nothing will be as effective as a whole-house water softening system. If you are interested in installing a water softener, please contact us at: 410-239-0700 or 443-508-2902 to schedule a FREE In-Home Water Test. We will test your water in your presence, answer any questions, and discuss your water treatment options based on household size and water usage (WITHOUT a high-pressure sales pitch!). Our goal at R & G Water Systems is to treat our customers as we, ourselves, would wish to be treated. We will be with you every step of the way from installation to the understanding and maintenance of your new system.